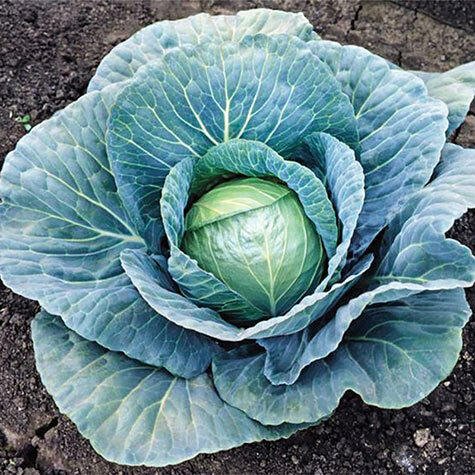 Blue Vantage Hybrid Cabbage | Gurney's Seed & Nursery Co. Comments: Widely adapted in warmer zones; slow bolting with short cores for less waste. Heads average 6 lbs. A standard variety to compare other cabbage with in the South. Resistant to Fusarium yellows and tip burn tolerant. A good choice for direct sowing of seed in garden.